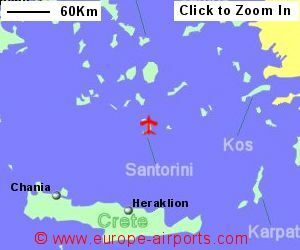 Find and compare the best prices from a range of well known car rental companies at Santorini Airport. This is a free to use facility, enabeling you to book direct with the company quoting the price. 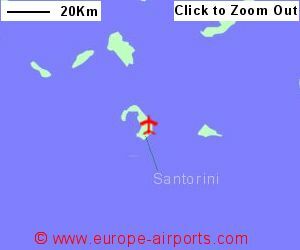 Santorini is a very small airport that can be busy at times. A bus service connects the airport to Fira, the largest town on the island, from where there are buses to other towns. The journey lasts 20 minutes and costs approximately 2 Euros. A taxi to Fira is likely to cost 25 Euros. Facilities include a bar/restaurant, a shop, an ATM, and FREE WiFi Internet access. 1.9 million passengers passed through Santorini airport in 2017, a 13% increase from the previous year.